What are the symptoms and side effects of ketosis? And how do you know when you have reached it? The ketogenic diet is gaining momentum as a way to help you shed unwanted weight, improve cognitive function, and even gain or maintain muscle mass. So many people report lower cravings and much more energy when they cut carbs and add more healthy fat to their diet. A big part of the ketogenic diet is entering ketosis, where your body produces ketones. When this happens, you begin burning fat for energy, helping you to lose weight at a more rapid pace. Knowing the ketosis symptoms you may experience can help you determine whether or not the diet is working. 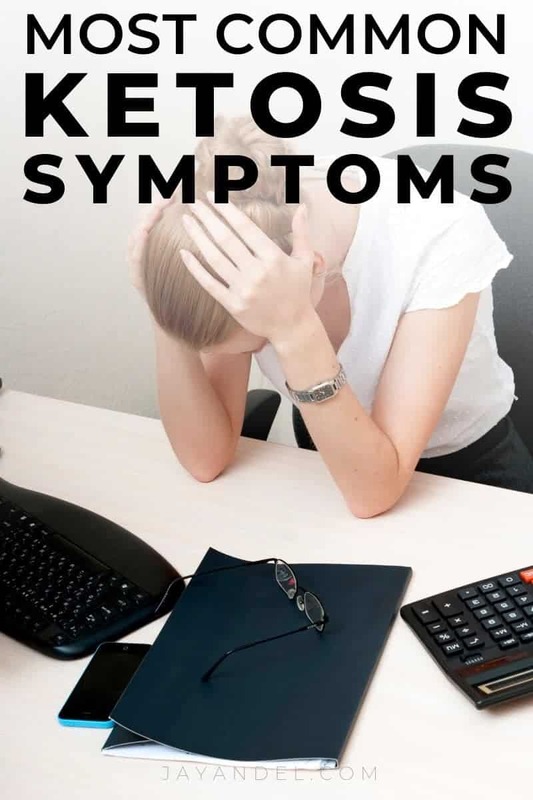 It isn’t always easy to know when you have reached ketosis, but there are a few telltale signs that you’ve entered ketosis that you can look out for, here are some of the signs and symptoms that you’re in ketosis. Here you will find our collection of the best Keto Fat Bombs You Must Try. Looking for help with keto flu? Check out these keto flu remedies and see if they can’t help you. Most of these signs tend to appear within a couple of weeks of your body entering ketosis, but if you’re following the diet properly, they shouldn’t last long. Once your body has adapted to its new fat-burning state, the signs should fade away. Keto flu is your body’s natural response to carbohydrate restriction. This is often the first thing people notice when they start a keto diet and first get into ketosis. It won’t happen to everyone, but if you notice you have flu-like symptoms and have been on keto for about a week or so, it could be that you are now entering ketosis. Some of these symptoms might include dizziness and lightheadedness, hot flashes or cold sweats, muscle cramps, increased temperature, and feeling queasy. Fatigue is a prominent feature of the keto flu and can be extreme. Sometimes the symptoms are subtle, at other times you feel like you can barely get up. This is most often from not getting enough electrolytes while on keto, so luckily there is an easy remedy. We have a post dedicated solely to keto flu, what it is and the best 5 remedies to getting over keto flu. Being in ketosis is a natural diuretic, which means food and water are going to move more quickly through your digestive system. You may notice that you are urinating and using the restroom much more often than you used to, sometimes getting up more than once in the middle of the night. It does subside a little bit, but having to urinate frequently while in ketosis is a good thing. Since you are urinating more often, expect to have more thirst as well. A major benefit to ketosis is that your hunger and cravings are reduced, another reason you should stick to keto even if it is hard in the beginning. Once you reach the stage when you notice you aren’t as hungry as you used to be and your sugar cravings are gone, that is usually a good indication that you are in ketosis. The hunger can vary, from feeling like you are only hungry once a day, to just having slightly fewer cravings than on a normal day. While some people have more energy while on keto, others experience less. This fatigue is often just at the beginning of entering ketosis before your body adjusts to the changes. Don’t stress about getting in a lot of exercise during this time; just stick to your diet and make sure you are getting your electrolytes. So how long do ketosis symptoms last? Ketosis symptoms are usually short-term, typically lasting about a week, sometimes less. You must keep in mind, however, that we are all different. Our bodies will react in different ways and some of us may experience these symptoms much worse than others, later than sooner, to a lesser extent, or not at all. But your symptoms of ketosis will fade away (usually within a couple of weeks) once your body has adapted to its new fat-burning state. Electrolytes to combat keto flu – Electrolyte Powder Capsules are an easy and convenient way to take in much-needed electrolytes. 100 Sweet and Savory Fat Bombs recipes book – These delicious, high-fat snacks are ideal for low-carb high-fat, ketogenic, and Paleo diets, and are also a great alternative to sugary, carb-filled treats. Perfect Keto Ketone Testing Strips – Quick, easy and reliable urinalysis testing for ketosis after you have had a keto snack or other keto products. Easy for on-the-go testing analysis after keto diet supplements or low carb food. Keto Made Easy: 100+ Easy Keto Dishes Made Fast to Fit Your Life – Everything can be made keto! In Keto Made Easy, Matt and Megha show you how to re-create non-keto recipes in easy, cost-effective, and delicious ways. The information presented by A Crazy Family is for informational and educational purposes only and should not be misconstrued as medical advice. Any opinions on medical matters presented are purely those of the authors, who do not claim to be medical professionals. For our full Disclaimer Policy, click HERE.